The Crossbar Challenge is a real life popular youtube sensation. If you search “Crossbar Challenge” on youtube, there will be more than 1 million search results. Super Crossbar Challenge, published by FredBear Games and PlayPlayFun, is a casual mobile game that is based on the popular Crossbar Challenge. It is developed jointly by a Portugese developer, Pedro Cabaço and a German artist, Christian Hildenbrand. 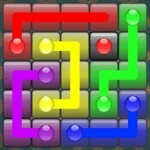 The game made its debut in the App Store on April 25, 2017. Then, came the good news. At first, TouchArcade covered the initial release article which gave a jump start to the download numbers on the first few days. 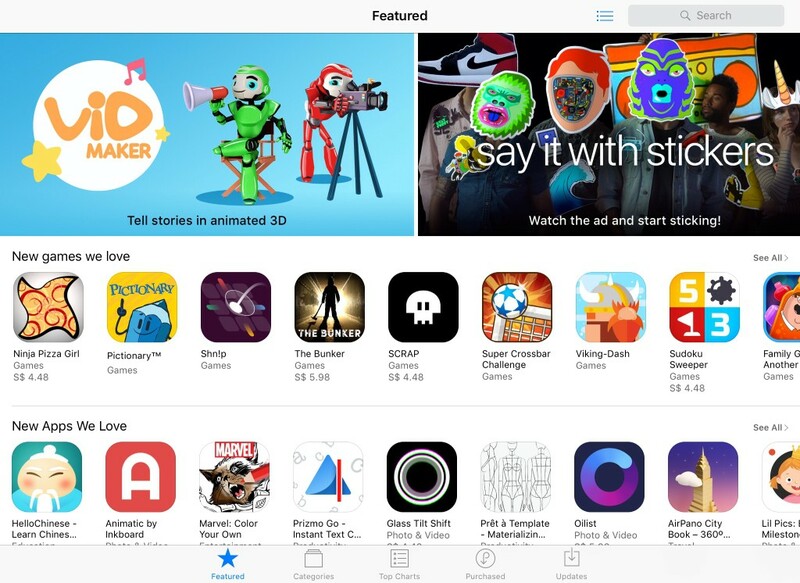 Then, late Thursday that week, we saw Super Crossbar Challenge’s game icon on the homepage of the App Store, which eventually resulted in topping the charts under Free Games/Sports in over 50 countries. So, many will ask… What does this featuring do to your game? Let us see some data on the next section! Again, many would wonder what the effect is from getting featured. So, here we go. This is the day right before featuring with just over 3,000 downloads. Although, there might be a short overlapping featuring period. Next, was the first full day of featuring. Notice that the jump was nearly 8x to that of the day prior to featuring, which brought in more than 23,000 downloads. Three days after featuring, the download number peaked at over 109,000 downloads. Finally, this was the download numbers a few days after featuring. It was still gaining a respectable number of more than 9,000 downloads. Now, one month after the initial featuring, Super Crossbar Challenge is enjoying its long tail effect with an average between 1,500 to 2,000 downloads daily. Numbers Are Good, But What Does Getting Featured Do To Rankings? It is the same exact question that we were asking daily during that time. 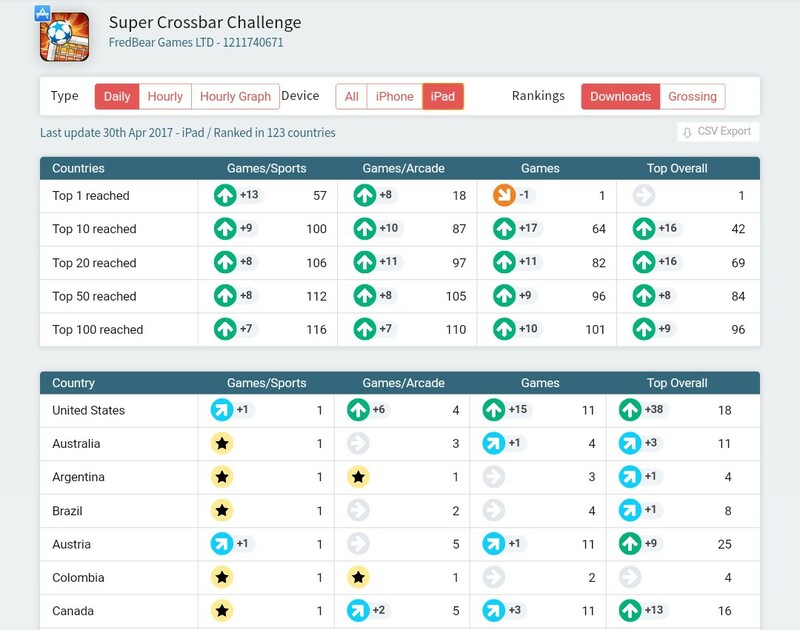 The day before the game enjoyed its peak in terms of download numbers, Super Crossbar Challenge already ranked #1 in numerous country under Free Games/Sports category. However, we are still missing USA. Then, the next day, we finally achieve #1 ranking in the USA under Free Games/Sports category. For those who are curious, it took more than 34,000 downloads to get to the top in the USA under the aforementioned category. How To Get Your Game Featured? This is a million dollar question, literally. Why a million dollar? Because, according to an industry expert, in order to replicate the effect of featuring, it may cost a million dollar (or more) of marketing budget. Therefore, a definite and consistent answer for such question would worth a million dollar, at the very least. Uniqueness of your game. Clearly, another typical endless runner or whatever flappy games are much less likely to get featured. 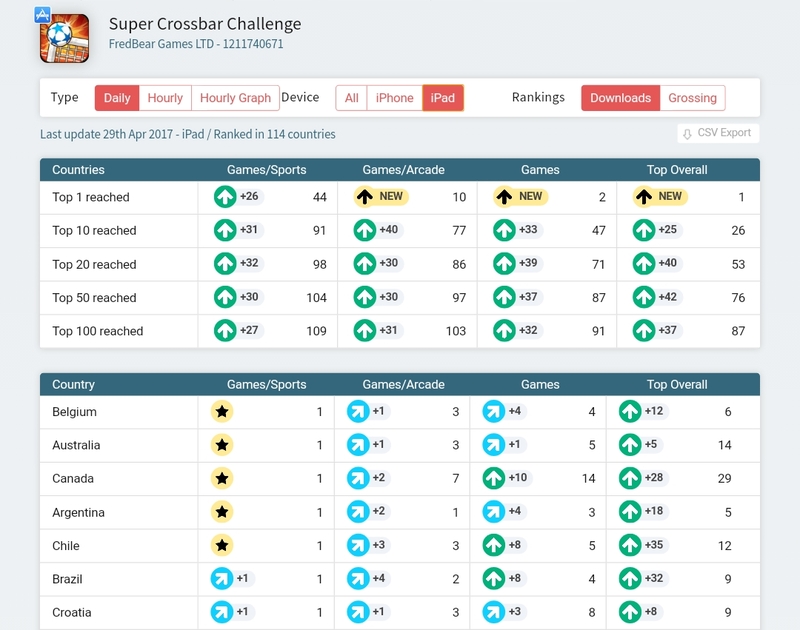 For our case, Super Crossbar Challenge is unique in that there were not many (if any) Crossbar Challenge game in the App Store. Bug free game. Okay, 100% bug-free game is nearly impossible to achieve. My main point is that your game must be playable enough without game bugs interfering with the gaming experience. Our game has a few bugs here and there, but it was minor and was easily squashed on the following update. Approval within the gaming community. If your game is good, community, forums and many sites will be excited. If they are not, it might be an indication of what to come. Timing and luck. Do your research before you release your game. 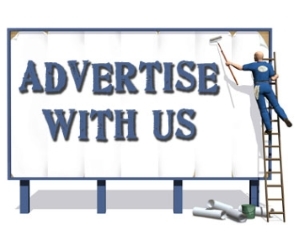 If you see big publishers releasing games that have the same genre as you, who do you think will get picked up to be featured? We hope that this article provide some idea for other indie developers and publishers of what to expect from a featuring on the App Store. However, please take this numbers with slight caution. The numbers may vary depending on categories and the type of game that you have. Our other game, Rising Warriors, does not receive the same download number despite being featured as well. Why? We guess that it is because a soccer theme game is a lot more universal than a strategy game.